Charming Colonial with so many extras! If you are someone who needs storage or needs more garage space, this home is perfect for you! This home has a large FOUR car heated garage with water access. Plenty of space to use for storage or if you like working on projects. Enjoy morning coffee at the beautifully done covered patio looking over a custom built pond with waterfalls stocked with live fish, just a wonderful site to see! Enjoy your gatherings in the large living room with open vault ceilings to the second floor that has two full bathrooms and three bedrooms, fourth bedroom is located on first floor next to the third full bathroom for easy convenience. 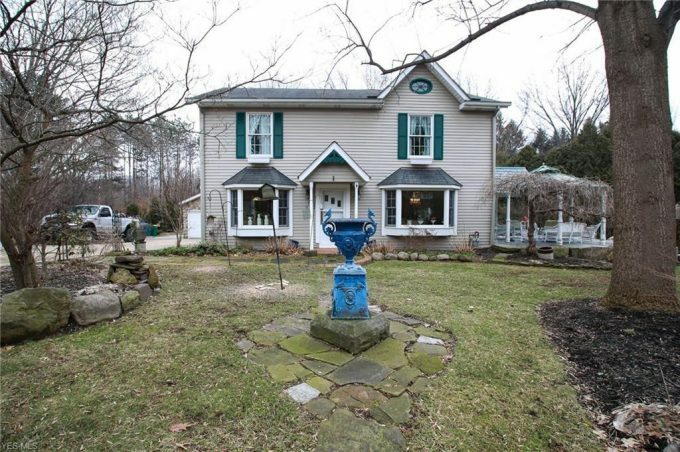 If you want character, space, and serenity, this home could be the one for you!